Although this is now two years old this strange little parable about perseverance and the strength of friendship by Ghislain Avrillon is still a favorite of ours here at Kuriositas Towers. In fact we are still scratching our heads (a sight perhaps not worth seeing) as to why we have never featured it before. It certainly counts it hits on Vimeo is the hundreds of thousand. See what you think of this very visual metaphor. 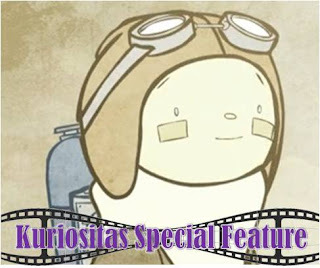 A young inventor, trapped in his home in the clouds, is determined to create a contraption which will enable him to fly. He may not succeed but in the end he has, perhaps, something much more precious.